I had to google whether or not Meatloaf was still alive. He is although he did collapse on stage this year. 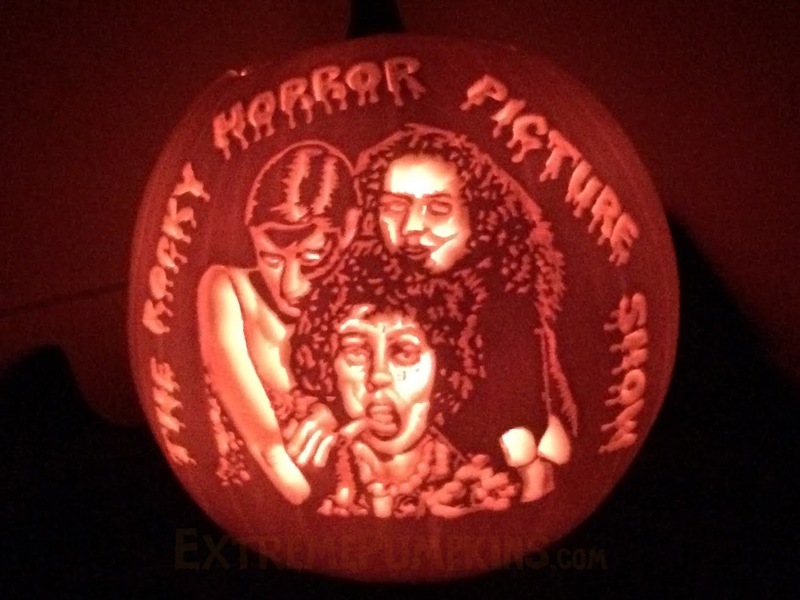 Regardless, someone must be a HUGE meatloaf fan because they made this pumpkin of his backup singers. Nice job!